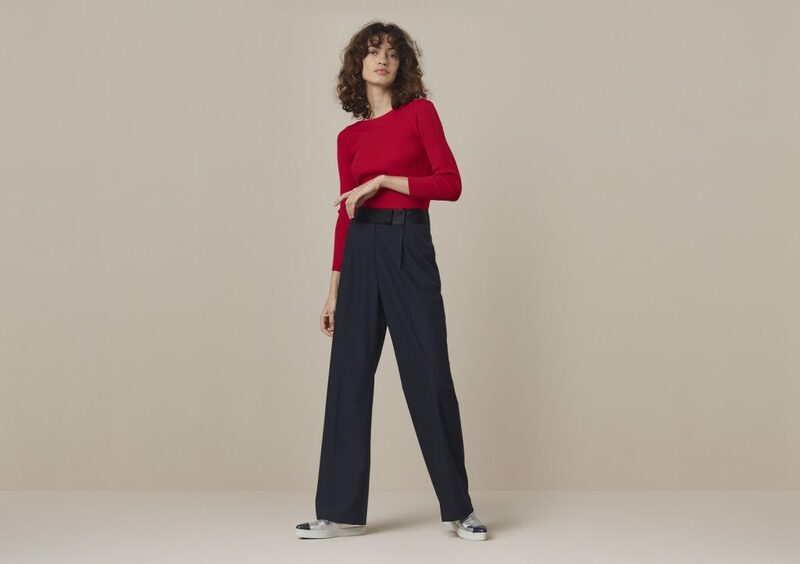 One brand you need in your wardrobe right now is Finery: think modern classic cuts and new wardrobe staples which make a statement for grown-up style you’ll keep in your closet season after season. If you haven’t already heard of the label that’s on every Fashion Editor’s shopping list, you’ll wonder how you’ve missed out until now and the good news is, it’s an affordable brand which won’t break the bank. And if great style and good prices isn’t enough to tickle your sartorial fancy well you’ll have to enter their competition to WIN free clothes for two years – yes, TWO whole years of free clothes! Relaxed fit dress with wide tie waist belt and caped back for day to night style. 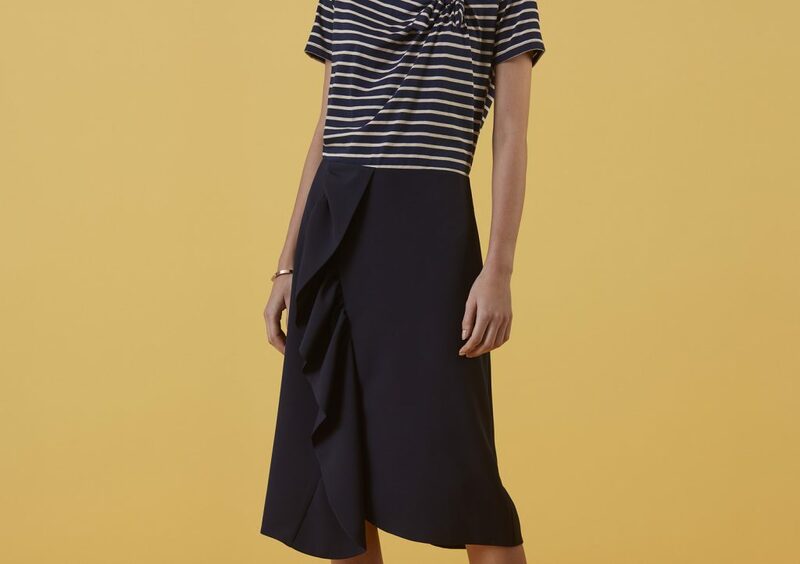 A straight leg navy trouser with black waistband to smarten up daywear or add a loose, slouchy feel to workwear. Off the shoulder, long sleeve body that’s a perfect pairing for a high waisted skirt or trouser. 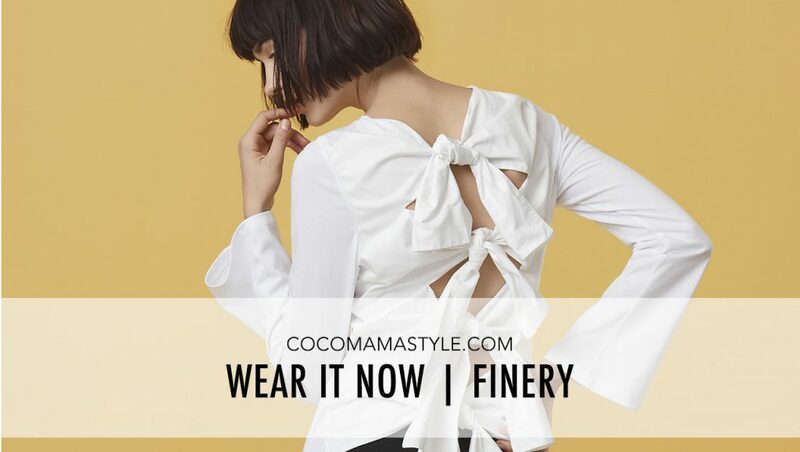 The simple white top (from the front) which will update your date night (or girls’ night) look with its bow detail back. The workwear update to elevate an office look. Wear off duty with pointed flats, breton top and a leather jacket. Up your casual game with these thick-soled metallic skater shoes. Extra style points if you wear with the wide leg trouser above. Add a little height with a block heeled slingback. 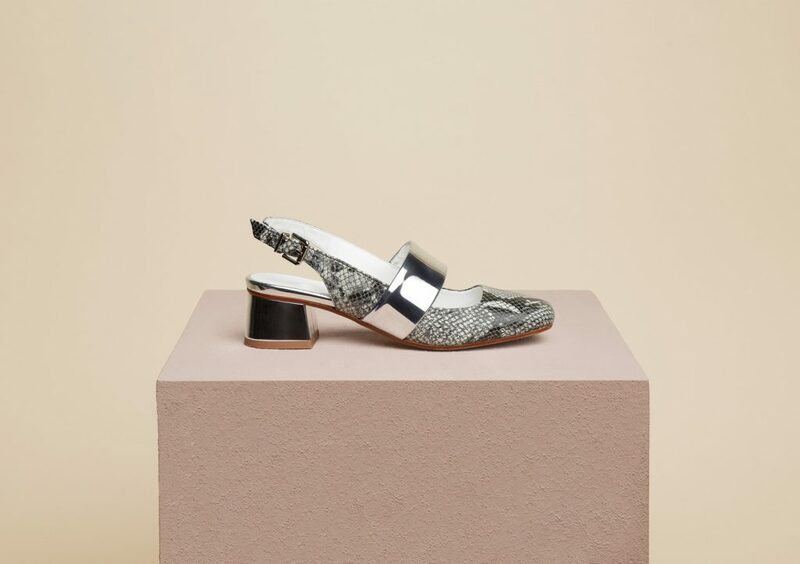 Grey snake print and silver make these the perfect neutral shoe with interest to amp up any outfit.